Pacific Heat & Air Inc. is recommending that homeowners get a 21 point inspection & tune-up on their AC systems for the upcoming Summer months, which will help in preventing emergencies. 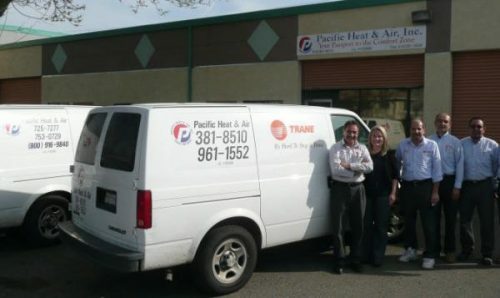 Pacific Heat & Air Inc. is spreading the word and setting the groundwork for less emergency HVAC calls in the Summer by announcing the benefits of getting an HVAC tune-up in the Spring. The tune-up and inspection work are designed to help HVAC systems run at their best while preventing future breakdowns. Pacific Heat & Air Inc., recommends a 21 point inspection that checks each component of an air conditioner system to ensure that the air is being cooled optimally, that humidity is kept in check, and air quality is controlled properly. Over time, air conditioner systems may build up more dust than usual and cause utility bills to rise, and an inspection will help in identifying the components that need to be cleaned. Every tune-up done by Pacific Heat & Air Inc. has processes in place to improve the lifespan of an HVAC system, improve the system’s performance during the peak seasons, and provide an increased degree of assurance that a system won’t need emergency repairs. Many system failures that occur during the winter and summer months happen as a result of failing to properly maintain an HVAC system. Furthermore, it should be noted that many manufacturers of furnaces and air conditioners have wording in their warranties stating that damage to the units caused by improper maintenance is not covered under the warranty. This is why having an annual inspection done to an air conditioner unit is crucial, not just for preventing emergency repairs, but to keep you covered under a warranty. Inspection points listed on the website can be independently verified by homeowners through third-party sources to ensure the quality of work. For illustrative purposes only, the website lists out potential rebates and tax credits for new HVAC installations depending on the make and model. Name: Pacific Heat & Air, Inc.
Organization: Pacific Heat & Air, Inc.